When you are about to write a cover letter, and you have the slightest confusion regarding forming the letter body structure with an appropriate introduction and conclusion, and you are not sure what you should write and what you shouldn’t, you need a proper guideline for this. 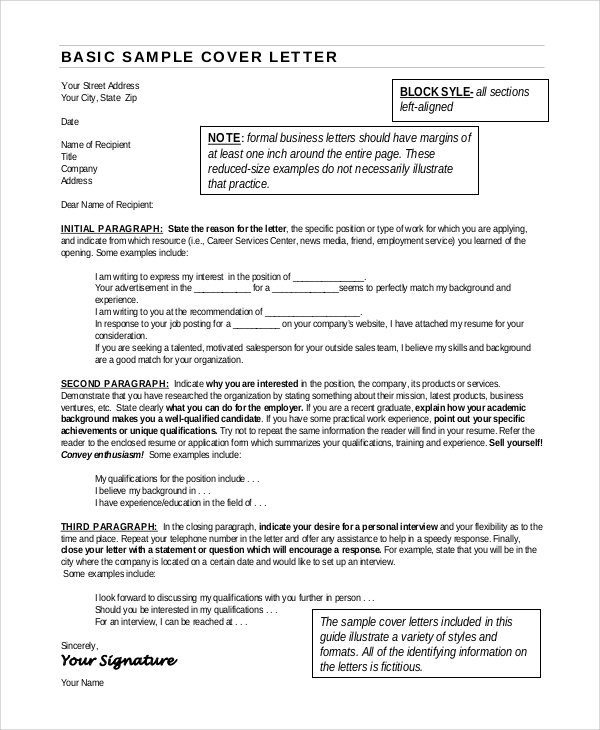 The guideline you get here online are examples of various styles of cover letter writing. Examples often give a clear idea of how to do the job, and also gives you scope to use words and style, while getting inspired by the example style. You may blend in style and selected words from the Sample Cover Letters to make yours. 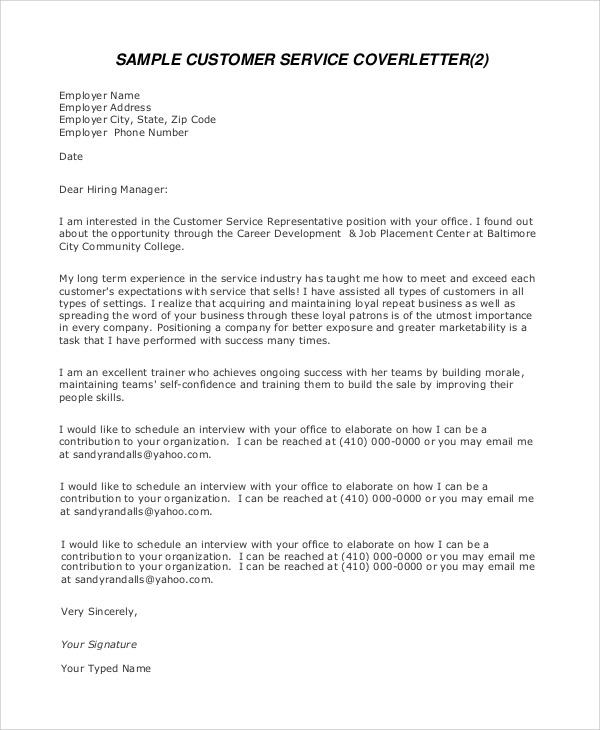 The cover letter example you can simply use to apply to any job is here. 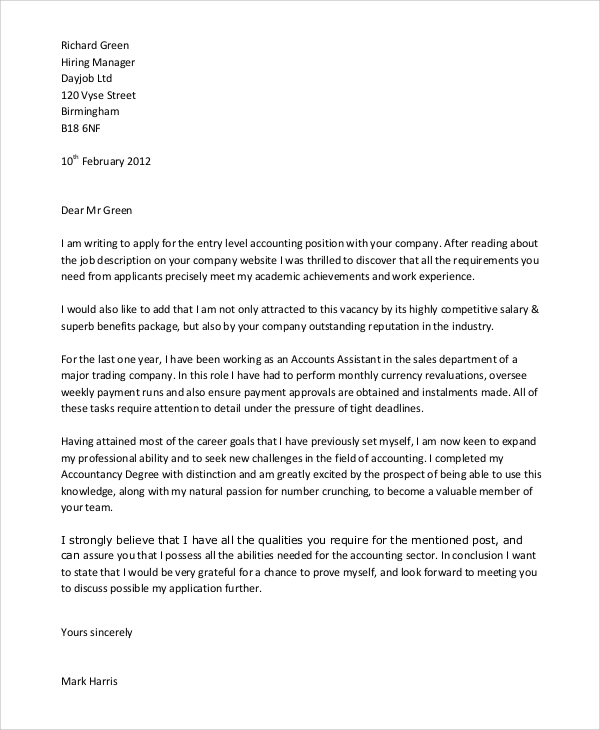 This example is a good one to give you a basic idea of cover letter writing. 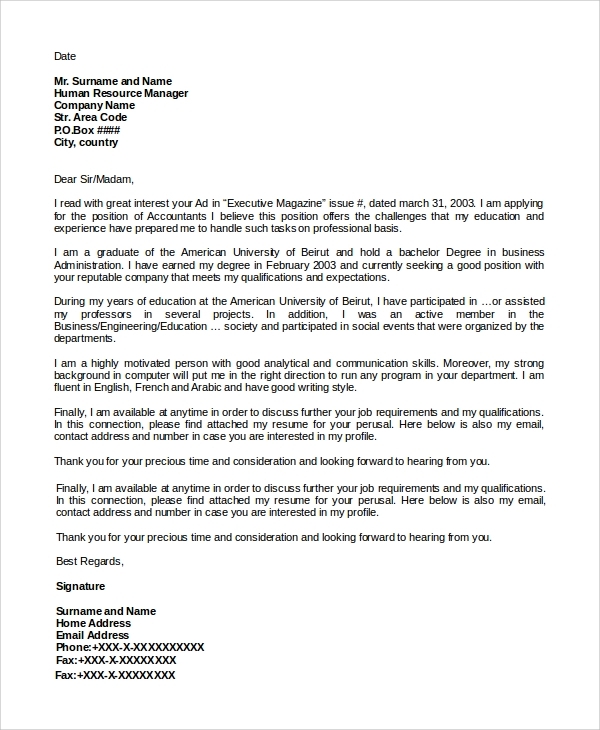 A simple example that will tell you the cover letter writing art is here. It’s written by someone else; an e-style will tell you how you can also manage yours. 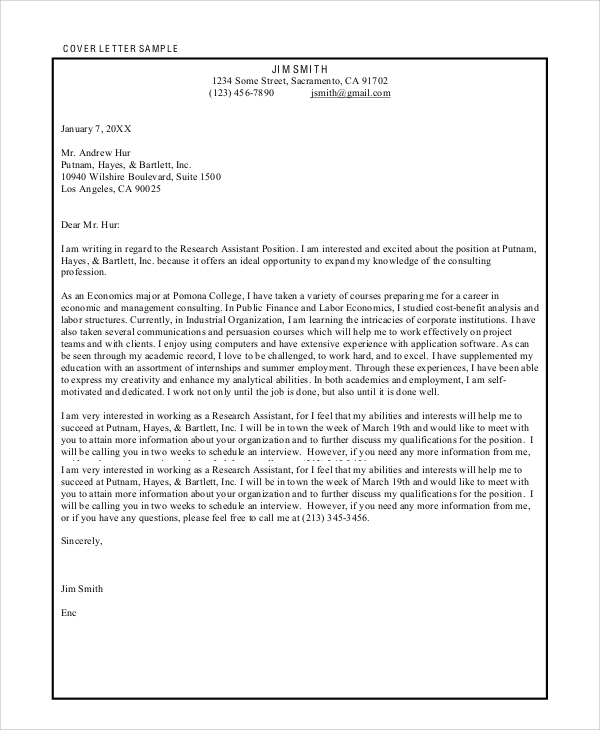 When you are going to apply for the role of an administrative assistant, and need a cover letter style to push your resume for the job role, then you need samples like this to understand the pattern required. 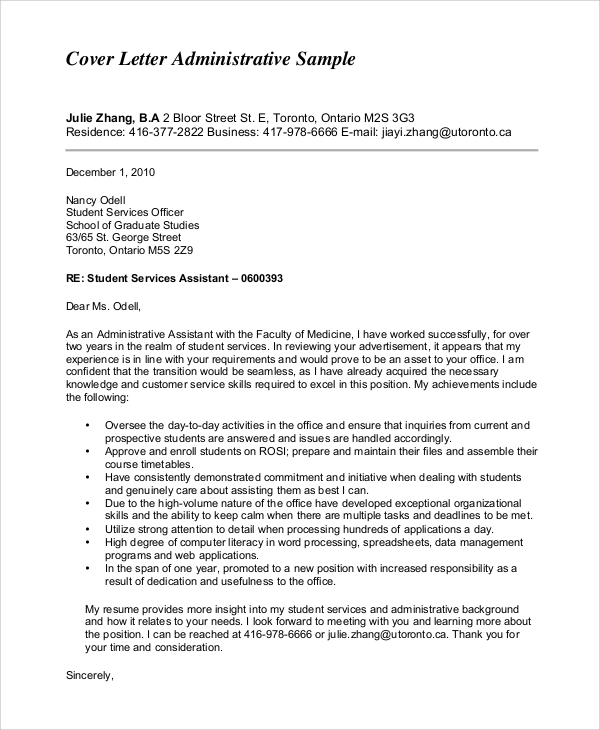 When you are going to apply for a job in customer service, then your cover letter must mention it, and highlight your resume in such a manner that it looks like you are customer service industry trained. This sample teaches you how. 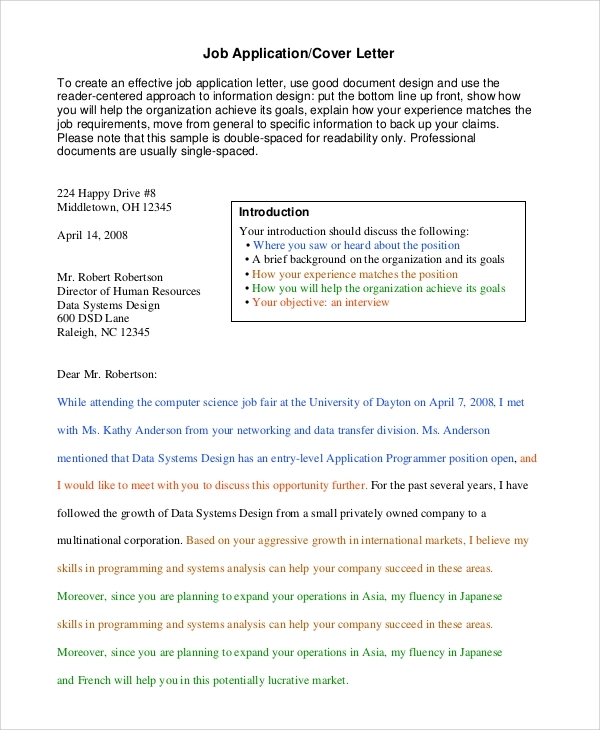 This cover letter example format is one of the basic styles, and can be absorbed into any cover letter written for any job is here. This is a simple style and it is pretty useful. 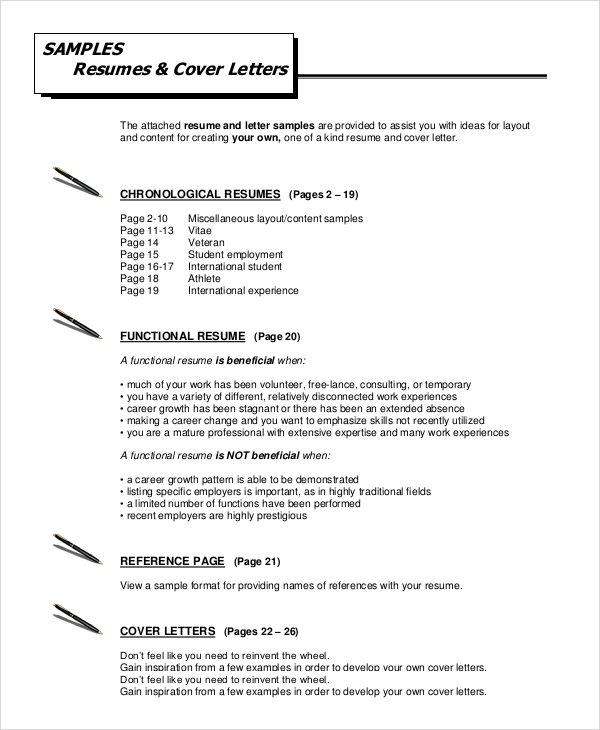 What is a Cover Letter Example? You can always use a cover letter in more exciting styles. Like you may mention things which you cannot fit into the resume, or you may mention about specific references, qualities, and special requests, etc. The primary use of sample professional cover letters is in suggesting a format which you can use to write a cover letter. 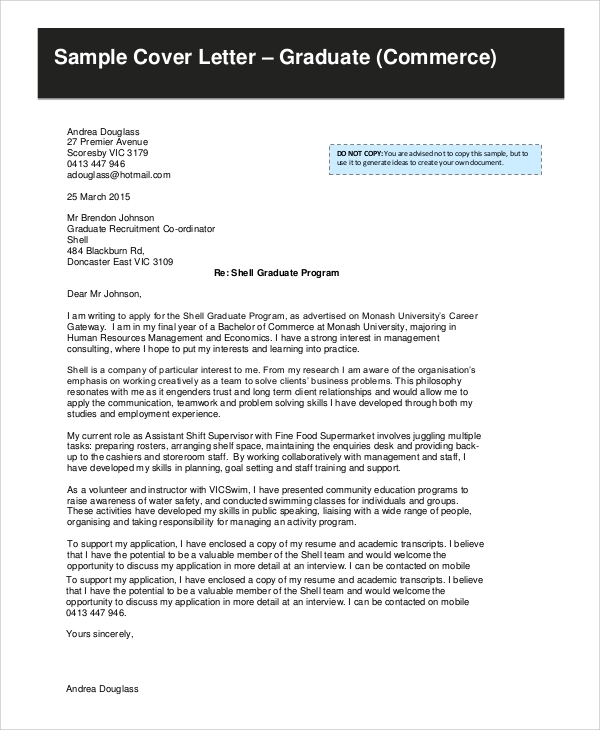 A cover letter is a perfect introduction to your candidature. Therefore, it brings forth the best information and highlights the best things about you, which is beyond the scope of the resume. That is why when you see that you have written all necessary things on the resume, and yet feel like mentioning additional points, you may always use the scope that a cover letter offers, to do so. 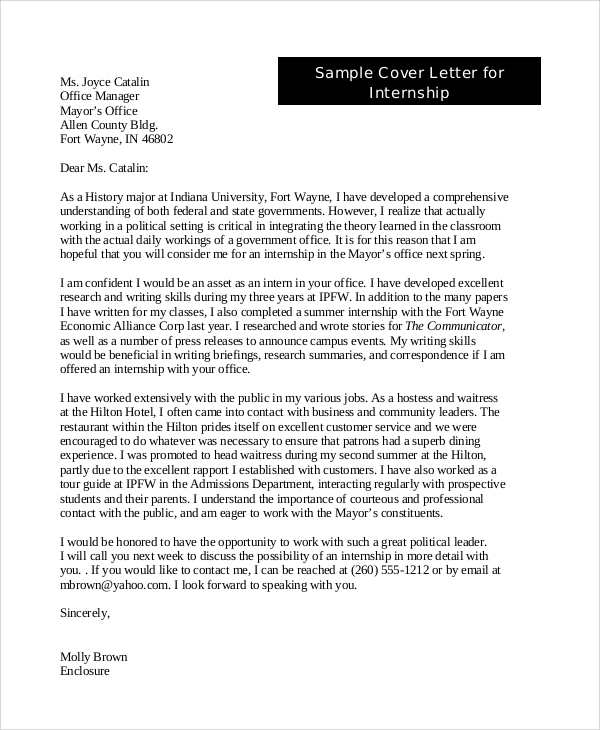 Now that you know where to get the best cover letter examples, and that immediate help is here, you can always make some quality cover letters for your resume. All you have to do is get the resume ready first and then read on the Sample Cover Letter Formats to understand the very best ways of drafting an awesome cover letter.